What is making the medical sales representative irrelevant? 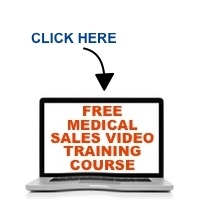 How can you remain relevant as a medical sales professional. In this episode of The Medical Sales Guru Podcast, medical sales performance expert Mace Horoff describes what is changing and what you can do about it. Is it worth 7 minutes of your time to stay ahead of the change or will you wait until it’s too late? What do you think medical sales reps should do to remain relevant to their customers? Thank you for the education you always provide. Customer service and sales skills are very important to stay relevent. I look forward to your next podcast! I appreciate you for the time and all new learning which is always outstanding. I can see the role of Med.Devices Rep. from both side, as a doctor and as a Med. Dev. Rep. and I absolutely agree with you that everything we do we do for the patient well being and we are here to help patient live healthier life.